Gilbert Melendez is a talented Ultimate Fighting Championship (UFC) fighter and mixed martial artist. The fighting star competes in the featherweight category of the UFC; he had previously held the Strikeforce Lightweight championship title twice. In addition, he has equally held the WEC Lightweight championship title. Prior to his UFC career, he has competed in the Rumble on the Rock, Shooto, and PRIDE FC championships. Gilbert Melendez was born in Santa Ana, California on the 12th April 1982, to Gilbert Melendez Sr. and his wife who is of Mexican descent. As a child, Gilbert was into wrestling and he competed in the sport during his high school days at Santa Ana High School, California. Back then, he was notably good friends with fellow MMA fighter Jake Shields but that was not to last. Soon after completing his high school education, Gilbert enrolled at San Francisco University where he studied liberal arts. While he was there, the fighter kicked off his MMA training and eventually dropped out of college to focus on his career. He also worked at the Fairtex gear shop which later became one of his sponsors in his professional career. The talented fighter kicked off his mixed martial arts career in the World Extreme Cagefighting where he dominated his opponents. He recorded victory in his first three career fights which made way for him to compete at the WEC Lightweight Championship. During the competition, Gilbert fought and defeated his opponent Olaf Alfonso by total knockout to become the WEC Lightweight Champion in 2004. In search of a more challenging environment, Gilbert participated in the PRIDE FC where he fought against Tatsuya Kawajiri in 2007. After defeating the Shooto Lightweight Champion, Gilbert returned to Strikeforce. His next fight was against Tetsuji Kato in September 2007 which he also won by unanimous decision. The fighter experienced his first career loss on December 31, 2007, against Mitsuhiro Ishida. The following year, Gilbert defended his Strikeforce Lightweight title against Gabe Lemley but eventually lost the title to Josh Thomson in June 2008. Despite the loss, he won and equally unified the Strikeforce championship in 2009 after his triumph over Josh Thomson. He made his first UFC appearance in April 2013 with his first fight against Benson Henderson. Despite putting up a good fight, Gilbert lost the fight by split decision. He had his first UFC win in October 2013 against Diego Sanchez. Sadly, he lost the next four fights to Eddie Alvarez, Edson Barboza, Jeremy Stephens, and Anthony Pettis. Gilbert is scheduled to compete against Arnold Allen on 30th November 2018. The fight will take place at the Ultimate Fighter 28 Finale. 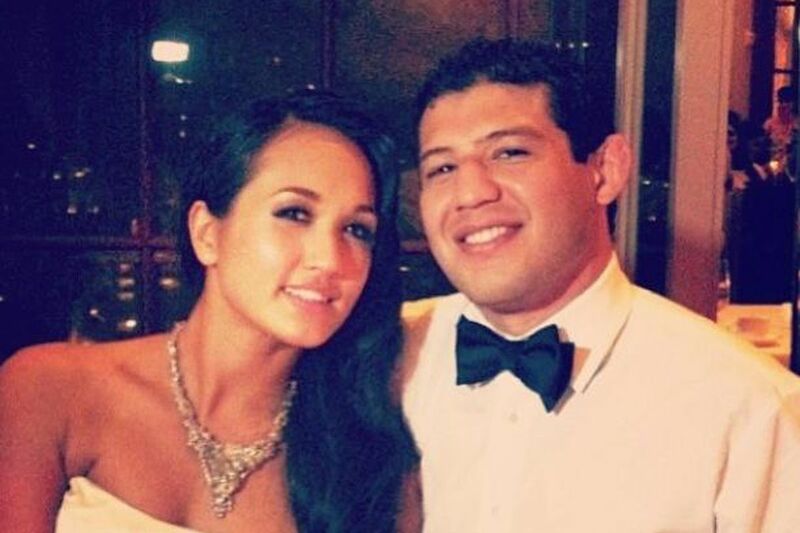 The MMA star is happily married to his long-term sweetheart and the love of his life Keri Anne Taylor. Keri was born in San Francisco, California on 12 May 1984. Just like her husband, she is also a martial artist and she is currently associated with the Bellator MMA where she competes under the Star weight division. The female fighter is trained as a kickboxer and Muay Thai fighter and she maintains a career record of 3 wins and a loss. Interestingly, Keri is placed at the 147th position among the US Female MMA fighters. Keri and Gilbert began their relationship several years ago. The exact year is not known but after many years of successful relationship; the pair exchanged marital vows in 2013. Together, they have an adorable daughter named Leylakya Melendez. They welcomed their daughter on 8th August 2010. Additionally, Keri currently looks after her husband’s gym called El Nino Training Center. The gym is located in the San Francisco area of California. Check Out: Yoel Romero Wife, Height, Weight, Age, Bio, Is He Gay? 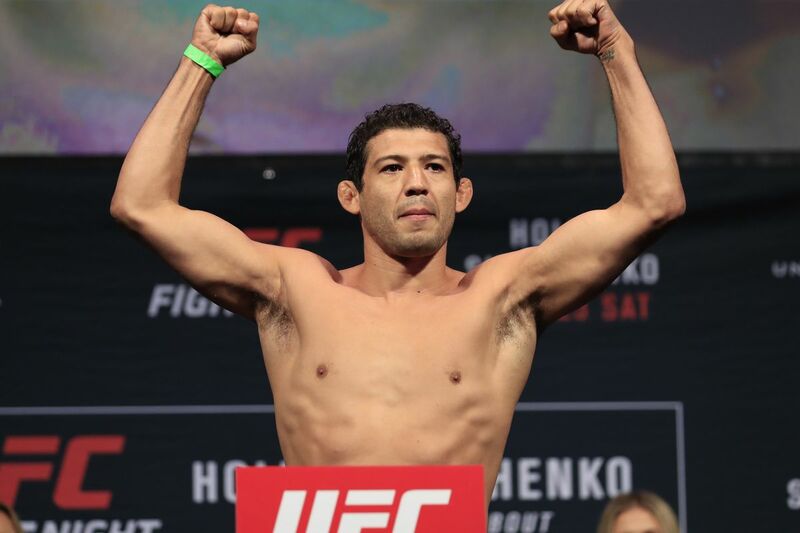 Gilbert Melendez is very tall, he stands at a height of 5 feet 9 inches (1.75 m) with a commensurate weight of 70 kg (155 lbs). He has a masculine bodybuild and great physique, however, his other body measurements are currently unavailable. Gilbert’s hair is black while his eyes are brown in color.